The FL-IBI provides a very well-suited marketing and distribution vehicle for the U.S. commercialization of Israel?omedical devices and products. 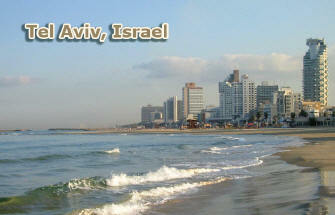 * The main benefits to the Israeli biomedical companies seeking U.S. distribution relates to M-EDG? ?Equity-based Business Model?an>, which provides significant equity/ownership rather than simply a royalty under a conventional licensing agreement. Increased U.S. recognition of Israel?eeminent biomedical product development expertise. * , the parent of the Florida--Israel Biomedical Initiative, possesses well over 200 man-years of hands-on and senior management responsibility for these dozen-plus functional areas. that were developed by and in the nation of Israel. Israel 101 is produced by Stand With Us, and provides an excellent introduction and historical perspective to many of the issues facing Israel and the world. NOTE: Clicking the Israel 101 link will open a new window. M-EDG is not responsible for the content of external websites.